Tired of waiting for the Internet of Things? DoBots' new product promises to give you a headstart. © Images: Distributed Organisms B.V. The Internet of Things promises smart appliances that can be controlled from phone apps. However, many of those appliances have yet to be built, and many of those that do exist cannot yet interact with each other. DoBots , a Dutch robotics company, is challenging both of these limitations with Crownstone, a device that turns the appliances plugged into an electrical outlet into smart devices. 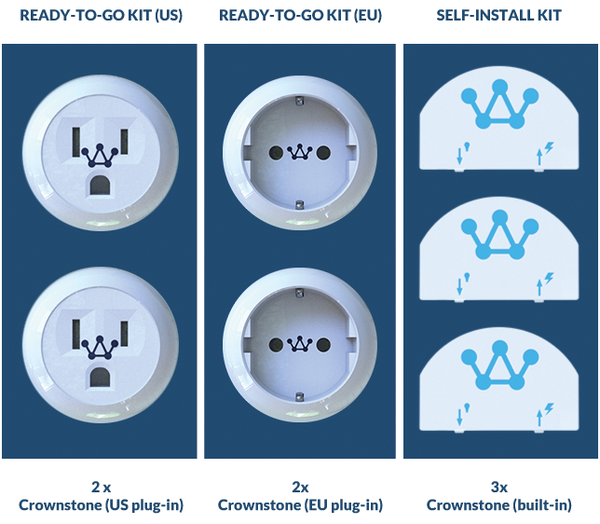 Currently in the middle of a Kickstarter campaign , the Crownstone is available for both European and North American outlets and can either plug into an outlet or be built into one. DoBots is a spin-off from Almende , an institute that researches robotics, artificial intelligence, and related subjects. DoBots itself develops robots and algorithms for autonomous systems. Free software projects that DoBots has contributed to include Replicator , a self-reconfigurable robot, for which it developed a lightweight version of YARP ; SwarmControl , an app for managing multiple robots; and robots for cleaning and detecting fire. According to Peet van Tooren, DoBots' CTO, the Crownstone itself is intended to be "both open hardware and software," aside from the use of the nRF51822 semiconductor from Nordic  and its SDK, neither of which DoBots owns. However, Anne van Rossum, Dobots' COO, notes that, "Nordic is slowly transitioning to have more and more open source" and hopes that the Crownstone will be completely free eventually, if not necessarily when it first ships. The Crownstone began as DoBots "started to think about the use of our type of artificial intelligence/machine learning tech for everybody," van Rossum says. Robots of the sort DoBots develops are still several years in the future for the home, and in any case, "the elderly, for example, do not so much require a robot as smaller things that are automated. We are thinking of the home as a very large AI that understands your needs. It should know when you're home. It should know when you're in danger." At the same time, the present generation of smart devices is fragmented. As software developer Bart van Vliet explains, as DoBots looked around, "In building automation projects, there were devices that could do just one thing: switch power, measure power usage, or enable localization. This became both expensive and complicated, as they all used their own protocols." DoBots' goal is to centralize management of all the devices by connecting them through a Crownstone, which will detect the kind of device it is, apply some basic defaults settings, and allow the user to add other customizations. To develop these settings, DoBots conducted a questionnaire to learn what potential users would want to do with a Crownstone. Just under two-thirds cited switching off energy-hungry devices when they left the house. Other uses included controlling all the lights at once or acting as a timer for TVs, washers, and other appliances; a safety device for irons or electric kettles; or a child lock, in the case of thunderstorms. Van Rossum gives another example: "If a reverse current flow is detected, it can prevent the breakdown of pumps in India. A pump is one of the largest investments for a farmer in India, and this is quite common." 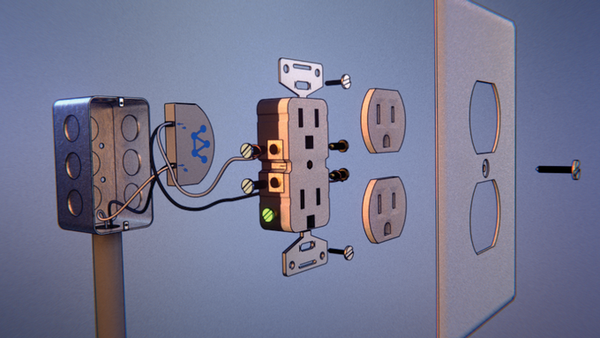 Basically, the Crownstone is designed to work with "anything that is attached to or charged from the grid." Whatever use the Crownstone is put to, DoBots is developing a phone app to control it. When completed, the app will allow plug-and-play installation and the control of Crownstones, both separately or in groups, as well as recording energy consumption and tracking the user's location. It will also include a bridge from Bluetooth to the Internet. An especially interesting feature of the app will be the ability to create scenarios. DoBots programmer Dominik Egger gives the example of a scenario for watching a movie that would dim the lights, close the curtains, turn on the TV, and adjust the sound level with a single action, instead of having to do all the actions separately. Egger continues: "All of these features will be included in the app in such a way that the user does not have to worry about being in reach or even knowing exactly which Crownstone it is he needs to control. As long as he is in reach of at least one Crownstone, all communication will be relayed amongst the Crownstones to the correct device. Even if he is not in reach of a Crownstone, the devices can be controlled through the Internet if a hub is used to bridge the mesh of the Crownstones with the Internet." An app for controlling Crownstone is available on Google Play  but is currently only for developers. The app began as a collection of Python scripts using Pexpect  and BlueZ , a combination that allows for quick development and provides a record of commands that is useful for hacking. However, for the end-user app, DoBots switched to Cordova  using the BLE plugin , which allows for simultanenous development for Android and iOS. "Cordova has the big advantage that it works on many operating systems," van Vliet says, "but at the cost of a large app file size, a slower app, and a non-native feel." Eventually, DoBots developed its own libraries for Cordova and Android, and van Vliet expects Dobots to develop more libraries as the project advances. Judging from the crowdfunding campaign, a single Crownstone will retail for about $40 (EUR35). Van Vliet gives an estimate of the requirements for a one-bedroom European apartment: "I guess you want one for every light group you have – say three for the living room, two for the kitchen, one for a bathroom, and two for a bedroom. Then a Crownstone for each appliance you want to control, like a personal computer, TV, set-top box, router, media player, electric stove, water cooker, oven, microwave, fridge, air conditioner, and bathroom fan," for a total of 25. In other words, for about $1,000, the cost of a mid-range appliance, and a weekend's work, buyers could have a smart apartment. If they chose, they could add Crownstones a few at a time. DoBots is already considering ways to extend the capacity of the Crownstone. Integration with existing systems, such as the Fitbit, which monitors exercise, or Parrot's Flower Power , which monitors gardening, are likely possibilities. Another is a microphone that can detect everyday sounds, such as a knock on the door or footsteps. "But the ingenuity of the Crownstone is that we don't need to limit or restrict ourselves to a set of devices," Egger says. "The design, and it being open source, makes it possible for users to add and enhance the Crownstone in any way imaginable. If there is a device that talks Bluetooth Smart, then there will be a way to interface it with the Crownstone: be that directly over Bluetooth Smart with the Crownstone, or via an app on an Android device, or using a Raspberry Pi or an Udoo. The possibilities are limitless." The Crownstone's short-term future depends on its crowdfunding campaign, whose success will allow DoBots to mass produce. In the long term, its future depends on how the Internet of Things develops. Van Vliet sees a future in which "you get hubs or computer software that try to integrate all the different solutions, which doesn't give much incentive to convert on a single protocol or even radio standard. Then there are also manufacturers who try to get consumers in a vendor lock-in, so they can live on their own little island, not cooperating with other solutions." However, no matter what happens, with its head start and flexibility, DoBots' Crownstone has a strong chance of being among the first to make the Internet of Things a reality for average users.